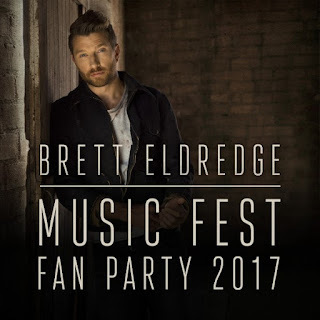 Brett Eldredge Fan Party On Sale Now! 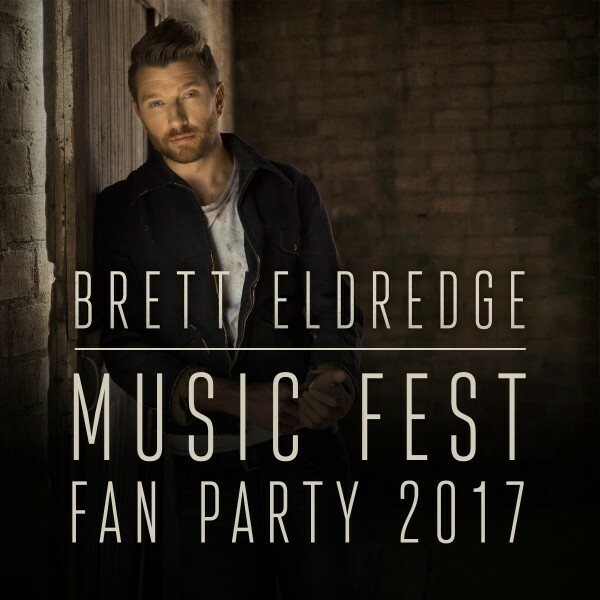 Tickets to Brett Eldredge's 2017 Fan Party are on sale now. Tickets are $150 and include the Brett Eldredge Deluxe Music Bundle. The Party will be held on June 8th from 11 am to 1 pm at Warner Bros. Studios, where Brett will reveal new tracks from his newly announced self-titled album. The party includes a meet and greet with Brett, photo op, and the Deluxe Pre-Order Bundle (Brett Eldredge CD, Brett Eldredge Digital Album, Somethin' I'm Good At Digital Single, The Long Way Digital Single, Autographed 12x18 Poster, Logo Pop Socket, and Edgar Plush Dog).